The History curriculum in schools adopts a grand narrative approach that pushes the history of the non-dominant to the margins and even to obscurity. To secure an authentic approach to Black history, the authors have developed an enquiry-based approach that gives teachers the knowledge and confidence to teach the History curriculum inclusively. This guide seeks to be an inclusive hub for information, which is sometimes hard to locate, relating to Black, Asian and Minority Ethnic communities in the UK, particularly with reference to education but also as a way to provide a snapshot of some of the vast range of international resources available. The term 'BME' or 'Black and Minority Ethnic' is a UK based terminology which although superseded by 'BAME', Black, Asian and Minority Ethnic, still remains popular. BME is not generally used internationally. In North America for example, 'African American' is the preferred term in relation to people of African heritage and 'Asian' is used generally to refer to people of Asian heritage. Previous UK terminology includes 'Minority Ethnic' and 'Ethnic Minority'. These terms may be useful when seeking older information regarding the educational experiences of BME people. 50th anniversary of the Race Equality think tank, The Runnymede Trust. 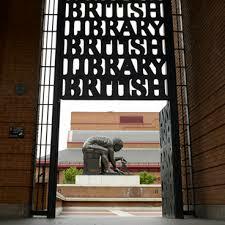 The British Library is holding a free exhibition on the people who came on the Empire Windrush which carried 500 migrants from the Caribbean. The ship arrived at the Tilbury Docks in Essex in 1948. Find out about the Jamaican feminist poet Una Marson, who became the first black woman employed by the BBC. Read Trinidadian J J Thomas's scathing rebuttal of English colonialism. See the manuscripts of Andrea Levy’s novel Small Island and Benjamin Zephaniah's poem What Stephen Lawrence Has Taught Us. And listen to the sounds of the Caribbean, from jazz and calypso to the speeches of Marcus Garvey and personal reflections from some of the first Caribbean nurses to join the NHS. The exhibition is free and on until October 21st.